I dare say I have cooked enough mango sticky rice this week to be a street food vendor. 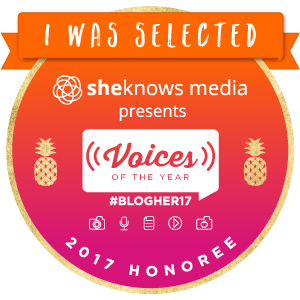 For one I’m completely obsessed with mango sticky rice – if I had to eat only one thing for the rest of my life, that would be it – and two, I’m a darned perfectionist. 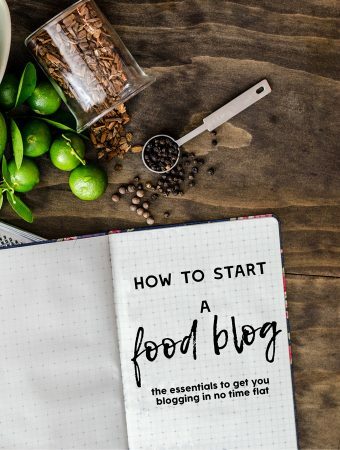 I needed to know how to make my mango sticky rice taste like the ones I had in Bangkok – in Soi 38 (my favourite stall, now long gone), in Sala Daeng and the many sois whose names I have now forgotten but I dutifully pinned in my maps. 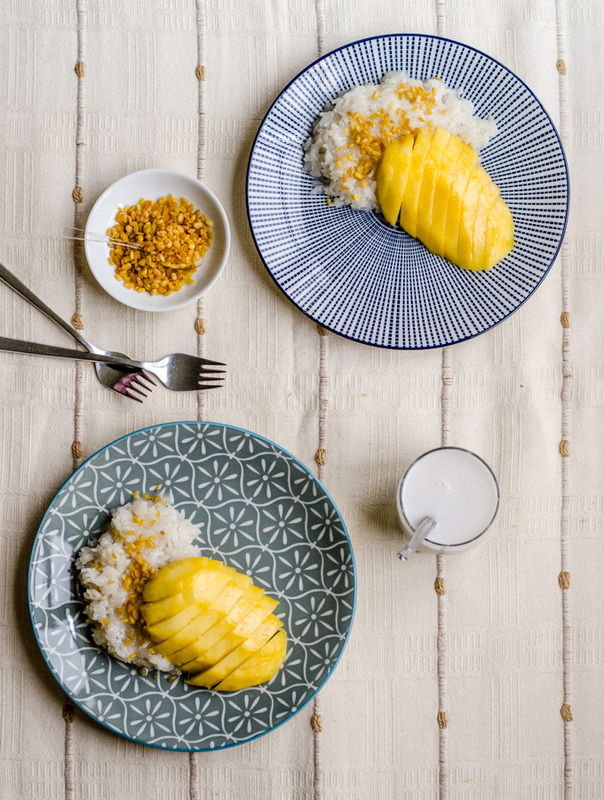 In truth, the delicious salty sweetness of mango sticky rice is easy enough to achieve at home; but to get that real taste of Thailand, each element needs to be perfectly executed. 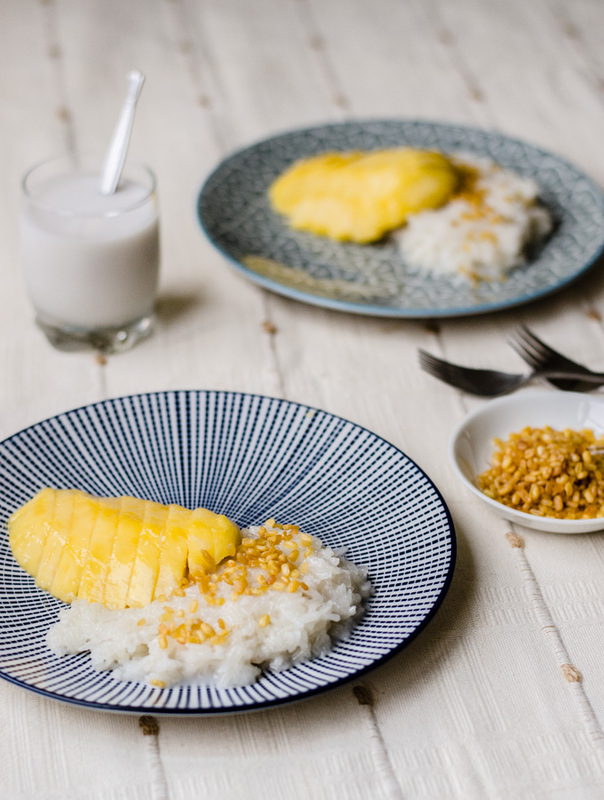 The rice should have a bit of resistance to it, the coconut milk should be sweet and slightly salty, the mango sweet and last of all, proper mango sticky rice should be topped with fried mung beans, not sesame seeds. Sesame seeds are okay, they’re not incorrect or inauthentic, but they just don’t have the same magic as fried mung beans. Perfection is lots of little things done well – and that’s the real secret to authentic Thai flavour, so let’s started. What is the best mango to use in mango sticky rice? If you can get them, golden lily mangoes are the one to look out for. It may be wishful thinking for some of us outside of Asia, so if you can’t get them, use mangoes that are in season. Look for a mango with smooth flesh and low fiber. How should I cook the sticky rice? If you can’t find it, sticky rice may also be labelled glutinous rice at your local Asian grocery store. It looks a lot like normal rice but is more opaque. It’s recommended that you soak sticky rice for a minimum of 4 and up to 24 hours prior to cooking. Soaking the rice helps it cook faster and results in better texture. I recommend soaking for at least 12 hours to get that satisfyingly chewy and fluffy texture. After testing multiple batches and over 3 kilos of rice, I’m convinced that the best way to cook sticky rice is to steam it. This is the method used in Thailand and Malaysia, and yields the fluffiest rice with the best texture. In Thailand, rice is steamed in a special woven basket made from bamboo. The easiest way to replicate this at home is to put a cotton or muslin cloth over steamer insert (the muslin stops the grains of rice from falling through the holes) and place over a pan of boiling water. Cook covered for about 15-20 minutes. Half way through, move the outer edges of rice to the middle so that it all cooks evenly. Alternatively, if you’ve forgotten to soak the rice, or are pressed for time and it’s a mango sticky rice emergency, you can pressure cook the rice – I don’t really recommend it though because I find that this compromises the texture, but hey a dessert emergency is a dessert emergency. I have used it in a pinch when we had unannounced visitors over. 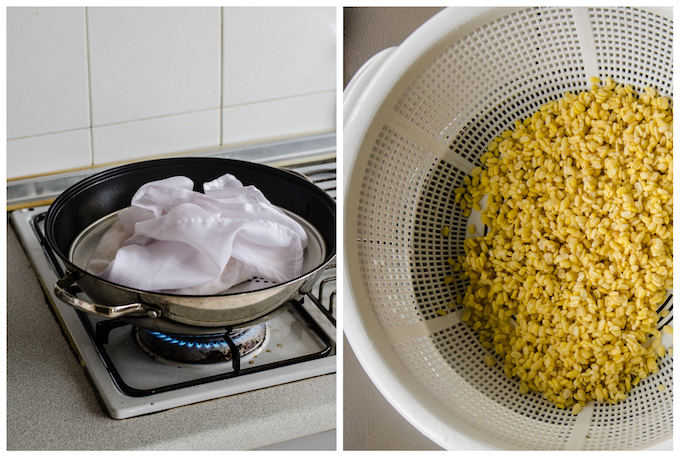 To use this method, place a trivet into your pressure cooker, fill with 1-2 inches of water, then put 200g sticky rice and 170ml water in a glass or stainless steel container onto the trivet and cook in a pressure cooker on high heat for 12 minutes. Allow to depressurise naturally. You can also cook sticky rice in a microwave or on the stove, by boiling but I don’t recommend these methods, the first because I don’t like the texture and the second because the pot is a massive pain to clean and the sticky rice has a tendency to burn on the bottom. Authentic mango sticky rice does not use cornstarch or cornflour. In some recipes online, cornstarch is used to thicken coconut milk, but if you do this the coconut milk just sits on top of the rice (you will see this in some other recipe photos) and doesn’t slowly melt into the little gaps – which is the part that makes street style mango sticky rice so delicious. The best mango sticky rice is made from fresh coconut cream – that’s the first press of freshly grated coconut (the second press is called coconut milk). Coconut cream is thicker, richer and silkier than coconut milk. It’s a bit of a luxury if you don’t happen to live in a tropical paradise so for those of us far away, tinned coconut cream will have to do – I’ll do more research on brands when I am back in Australia. If using tinned coconut cream, do not shake the can. Open carefully and skim off the thick milk, then add half of the watery portion. Getting the balance right in the coconut cream is the trickiest part of this dish. It’s a very important skill to learn and this is one of the best ways to learn how to balance flavours. This is how I do it – first, add the sugar to the coconut cream as described below then add salt, a generous pinch at a time and stir through. Keep adding salt until you can just taste the saltiness in the coconut – it should be sweet, salty and creamy. A handy tip that I’ve found after making this dish, oh you know, a billion times (yes I did eat a full serve each time and yes I do think it is an acceptable breakfast food) is that you can whiz the coconut cream with a stick blender to get better texture. Fresh coconut milk has no stabilisers or emulsifiers, and so will tend to split if heated too quickly. A quick whiz with a stick blender helps to emulsify the mixture i.e. it mixes up the fat and the water parts – a bit like making mayonnaise. One of the most overlooked parts, fried mung beans help elevate good mango sticky rice to great mango sticky rice. Not everyone agrees with me on this – many people don’t really care for mung beans, but I love the satisfying crunch and textural contrast of fried mung beans. Many recipes skip this step and use toasted sesame seeds instead, which are ok in a pinch. Rinse and soak the yellow mung beans for 1-2 hours. Strain with a colander, then drain over paper towel to remove the residual moisture. Heat oil over medium heat and deep fry mung beans in batches until golden. Drain the excess oil with paper towel and mix in a pinch of fine salt. Store in an airtight container. This will keep for several weeks. Place coconut cream and sugar in a small saucepan and heat on low heat until the coconut cream has thickened slightly and the sugar has melted. Add salt a bit at a time - start with a generous pinch - stir and taste each time for balance. I like to stop when I can just taste the salt in the mixture - it should be sweet, salty and creamy. I like to give the mixture a quick whizz with a hand blender, just to emulsify everything properly and break up any small lumps. Rinse the glutinous rice until the water runs clear. Soak the rice for a minimum of 4 hours and up to 24 hours. Line a steamer basket with cotton or muslin, and put the rice on top of the cloth. Place the steamer basket over a pot of boiling water, then cook for 15-20 minutes until the rice is sticky and translucent. About halfway through, move the outer of edges of rice to the middle and vice versa so that the rice cooks evenly. Move the cooked rice to a bowl and pour over a third of the cooked coconut cream mixture. Stir through, then steam the rice over muslin and covered for another 5 minutes. Set the rice aside to cool and serve at room temperature with the coconut cream, mango and crunchy mung beans. The cooked rice does not keep well overnight, no does it refrigerate well - it's best to cook it on the day of serving. If necessary to cook the day before, it can be heated up in the microwave, or re-steamed just before serving. *If using tinned coconut cream, open the can without shaking it. The cream should have risen to the top, scoop that out and add enough of the liquid-like coconut underneath to total 300ml in lieu of fresh coconut milk. Freshly squeezed coconut cream has a tendency to curdle if heated on high because it doesn't have any added stabilisers of emulsifiers. Heat on a low heat, stirring constantly to avoid coconut milk curdling. If your coconut cream has curdled or split, blend it back into submission with a stick blender - it makes it as good as new - in fact, sometimes better than before.